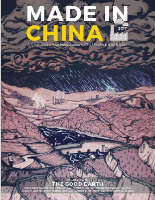 "What Future is there for Human Rights Lawyering in China?" Abstract: In the aftermath of the latest wave of repression, Chinese human rights lawyers have started to reflect on their past successes and failures. They also began to express anxiety, frustration, and confusion about their work. Ultimately all the soul searching boils down to one question: is there a future for human rights lawyering in China as we know it? To answer this question, this essay analyses the practices of human rights lawyering, and examines the circumstances in which socio-legal mobilisation may fail or succeed. Click here to download the full issue. This is an excellent book. I want to write the personal narrative essay about it.